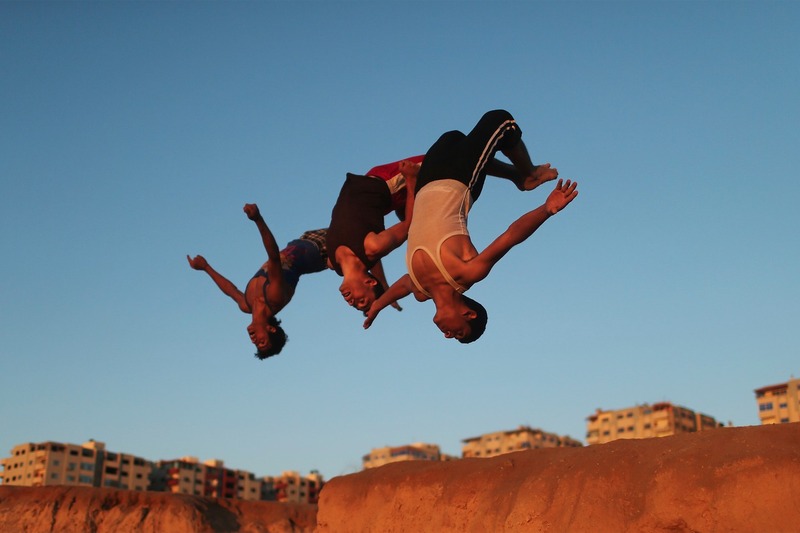 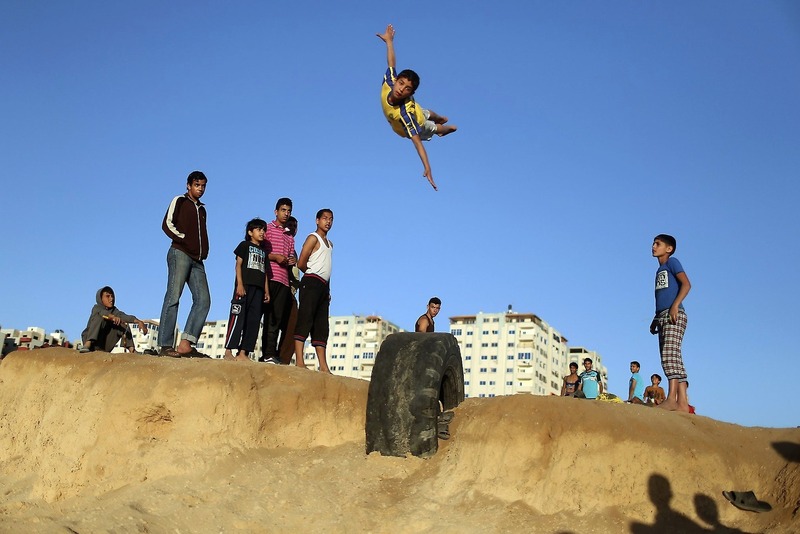 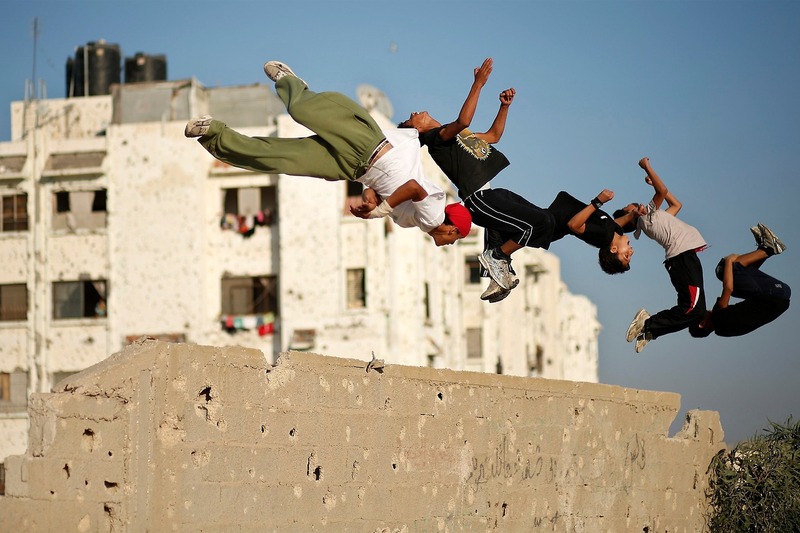 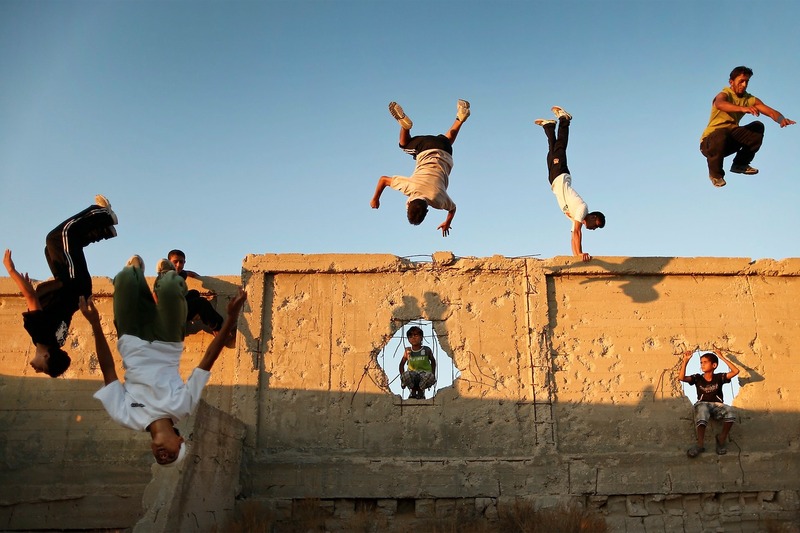 The limitless beauty of parkour in Gaza. 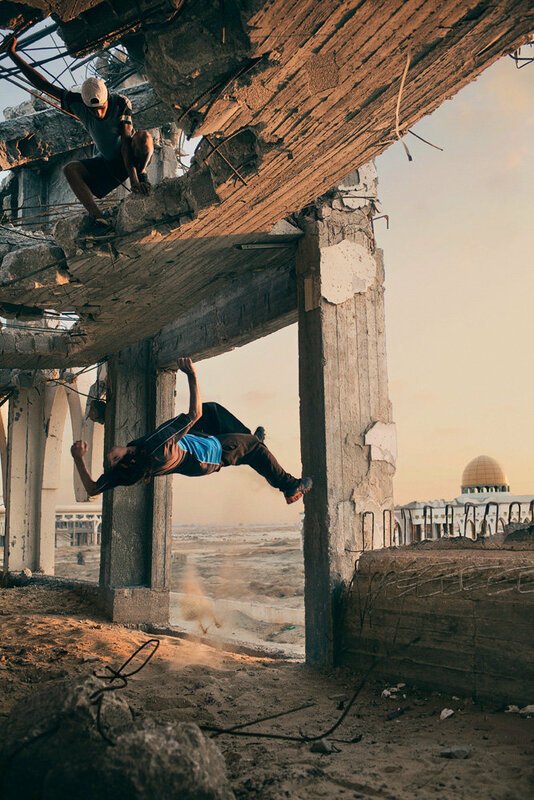 These photos were taken by Mohammed Salem and Klaus Thymann, showing the rise of parkour in Gaza’s Shati and Khan Yunis refugee camps. 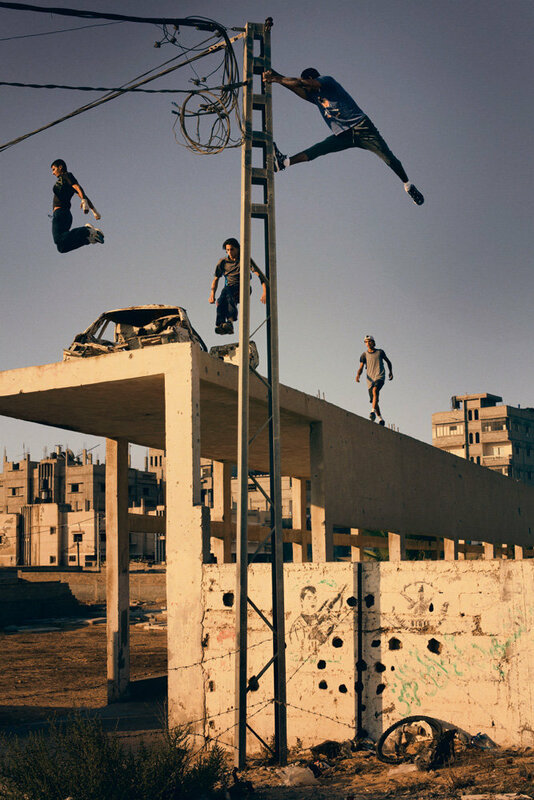 Unemployment in the camps is high, and with little to do and limited resources, some have turned to parkour as a means of escape. 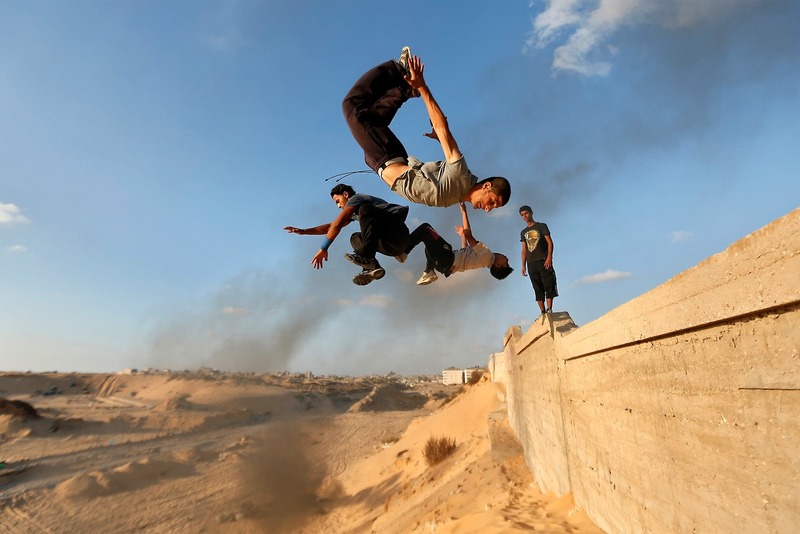 For a sport that is literally about overcoming obstacles and living beyond imposed physical restraints, parkour has perhaps even greater resonance in the narrow, politically and militarily confined Gaza strip, which is home to a densely boxed in population of 1.7 million Palestinians. 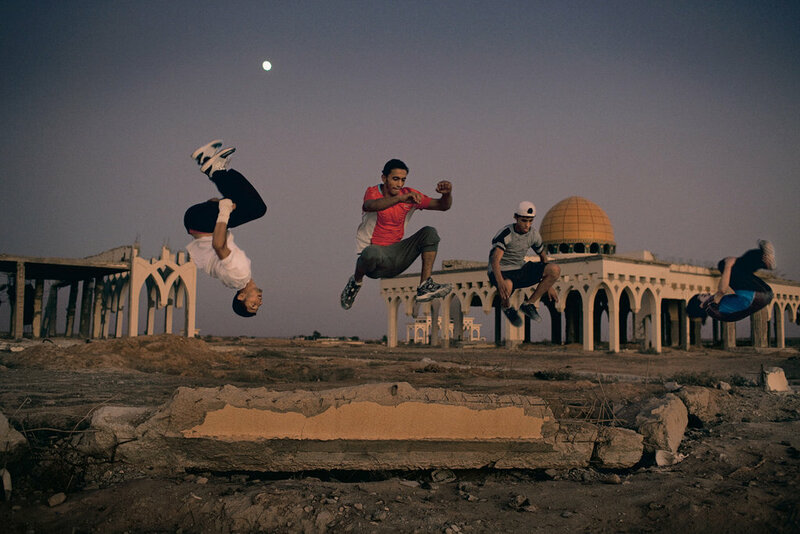 Enshasy notes they weren’t accpeted at the beginning – people would say to them they – jump like monkeys and climb buildings like thieves. 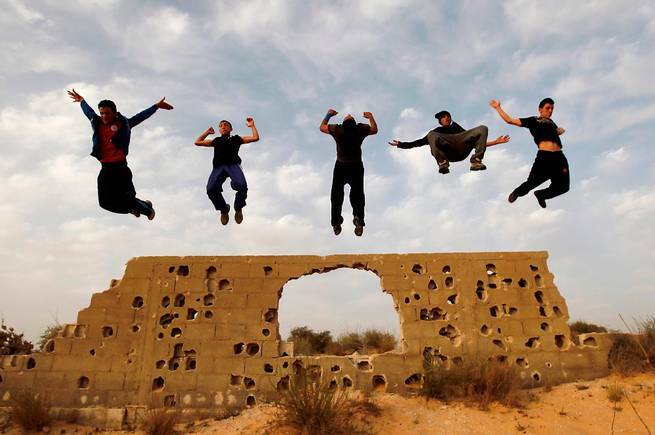 But as their facebook page explains, parkour is about breaking from conventional paths in life and finding your own. 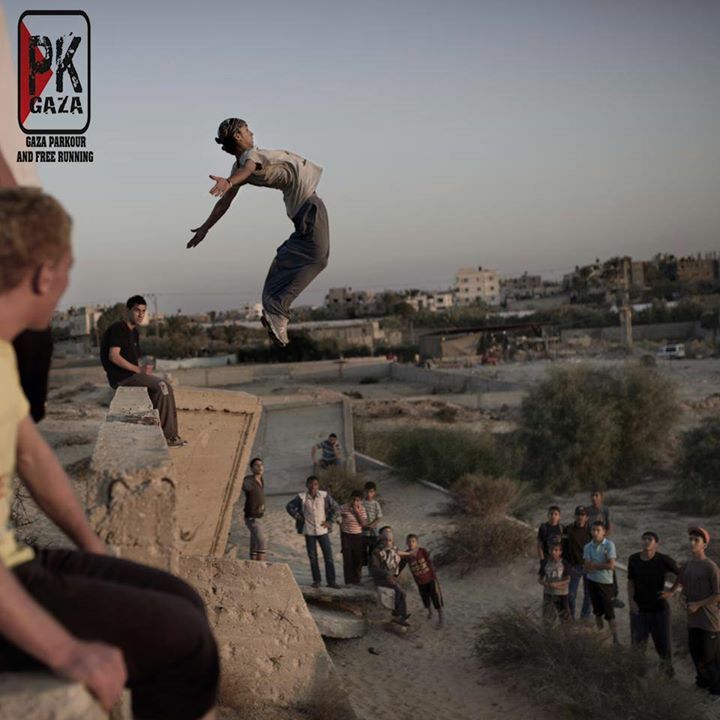 Be sure to check out Gaza Parkour and Free Running for more. 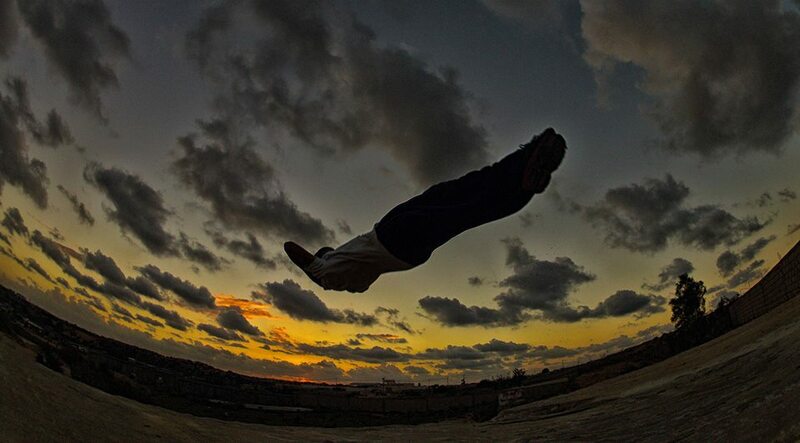 → Riding the Trans Asia Express. 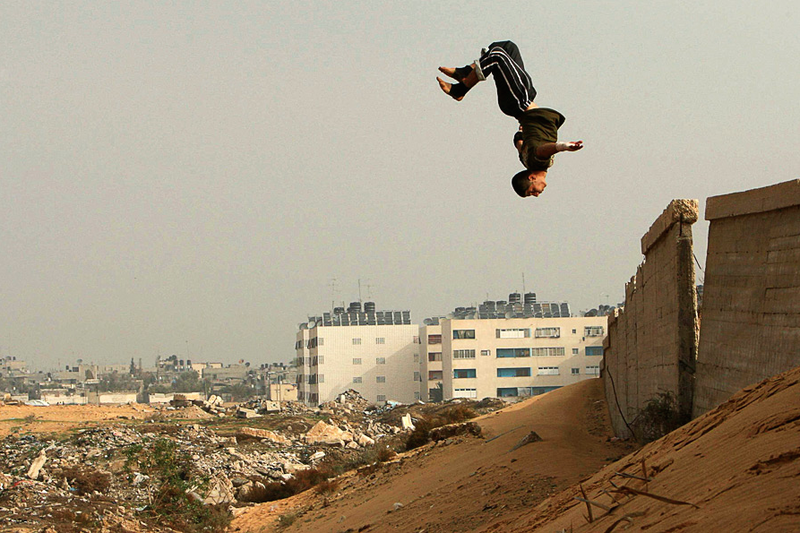 ← Bil’in, Palestine: Teargas canisters as flower pots.